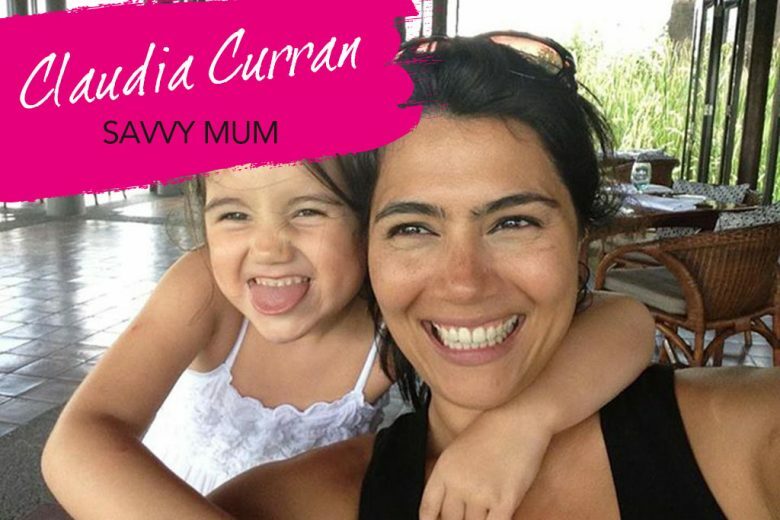 With a full time job in finance, mum of two Claudia Curran needs to be highly organised. Over time she’s developed a foolproof system of to-do lists to help her manage her life. Now she’s turned those lists into a must-have app for every savvy mum! I have two children – Olivia who is six years old and Coco who is eight weeks old. I started my career in banking and spent nine years at Citi where I was a Director in the Equities division in London. I took two years off when my first child was born, and then went to work at a hedge fund in London, and moved with them to Singapore two and a half years ago. With Olivia, I took 2 years off and loved every moment of it. However when Olivia started nursery, I really missed the buzz of work and was sure I could balance the two, so I started working at a Hedge Fund. Initially this was on a part time basis which then transitioned back to full time. So my career didn’t change as such after becoming a mum, but what changed instead was my fine tuning of organisational skills! Working full time meant that I had to have very good help in place, with someone I fully trusted otherwise going to work would be impossible. I always have a plan at the beginning of the week as to what needs to get done both at work and at home. I then update that on a daily basis so the night before I know exactly what needs to be done and when the following day. What inspired you to create the Savvy Mum app? Savvy Mum came about from having the need to be on top of family life while maintaining a career. As Olivia started prep school and elementary school, I noticed my to-do List was spiraling out of control in terms of length! It was just this one long list that would stress me out rather than help me feel on top of things. So I started creating separate sections in my Filofax – one for school life so I could keep track of what I had to pack for her school trips, what homework needed to be done and when, and a social section to keep track of all the many birthday parties, etc. A year ago I felt I needed this as an app, and looked around and couldn’t find anything – so I thought why shouldn’t I have a go in developing it. What is it and what does it do? How can it help mums? Savvy Mum is an e-organizer that combines a to-do list , checklist, personal organiser and calendar in a fun and chic way. There are numerous sections to it, so you can journal the various parts of your life in the different areas to help you stay on top of everything. Create checklists for at home parties and photograph the outfit you plan to wear. Create checklists for children’s parties. Log all upcoming events you have been invited to and photograph the outfit you plan to wear. Wardrobe organiser allows you to store the outfits you have worn so that you never get caught out in the same outfit twice. Birthday calendar is a dedicate calendar to store your Godchildren, nieces and nephews’ birthdays. You can also store relevant phone numbers for your children in a dedicated place so that they are not lost in the long list of numbers in your phonebook. How did you go from having the idea to building the app? After having the idea, one holiday I sat by the pool and sketched how I envisaged the app to look and the various pages. I then confided in a number of mothers and asked if they would use the app, and how else were they using their current to-do lists. I then had to go about in finding a developer. Rather than using a cheap developer in an emerging country, it was really important to me that I had someone who understood the concept. Fortunately I have a company whose partner is a working mother herself and she instantly understood what I was trying to do and loved the idea. She then developed a wireframe (I had no clue what this was at the beginning)! It is a screen blueprint, a visual guide as to how the app will work. Once that was agreed it took seven months to develop. How long did it take you to get from idea to launch? I had the concept for six months before actually sitting down with the developer. Once I decided to actually go ahead with it, it then took a further seven months. How has your launch gone so far? Despite it only just launching earlier this week, I could not have had a better reception! I have already had a few reviews which have been incredibly enthusiastic and complimentary. It has also already been picked up by various mummy blogging websites and editors, so am hopeful that they will feature it in the near future. What was the hardest part about creating the app? Having to wait for almost 18 months from having the concept to actually seeing the app available. I was so excited about the idea on day one and was convinced that this would be such a useful app for every mother, that having to wait almost a year was torture. However, now that we are here, it was well worth the wait! Did you conduct market research when designing it? Yes. I sat down with a number of mothers who came from different backgrounds and had very different personalities, as I wanted to hear how they all organised their lives to see what I could incorporate in the app, and also ensure that the app would appeal to each of them. After having an initial general conversation with them about their lifestyle, I then showed them my concept drawn out to see what they thought of it. How do you plan to spread the word about Savvy Mum? Social media seems to be the best way. This app will have to be done by word of mouth from one mother to another. So I believe trusted established magazines, mummy bloggers, twitter, etc are the avenues to use. How do you organise your own life? Exactly how this app is done! Basically I designed the app to help me transition how I had my various Filofaxes, birthday calendars and to-do lists to online so that it could all be in one place. What advice do you have for other mums who have a great idea for an app? It has been such a rewarding exercise that I would encourage anyone who has an idea to explore the potential of it. However, it has to be an app that you truly believe in as the amount of time you need to invest in is considerable. Market research is key in deciding whether or not to pursue the idea, but if you do, once you have the end result it’s incredibly exciting. It is also so fulfilling to see how my daughter is terribly proud of me and will now grow up believing that you have an idea there is no reason why you should not pursue it. You can find out more about Savvy Mum on their website.